I am trying to get ready for Anniston's arrival in every area of my life - and this includes my Scentsy business. Like I have said before (a lot) I am so thankful for Scentsy and that it allows me to bring income into our family while remaining a SAHM. It truly is the perfect balanace for me. I love that I'm able to set my own schedule - and now leading up having a baby I'm setting myself up for a little "maternity break", which means I'm working on getting orders now and getting parties booked! This is the first month of the new catalog and it is fabulous! Full of new products and scents! 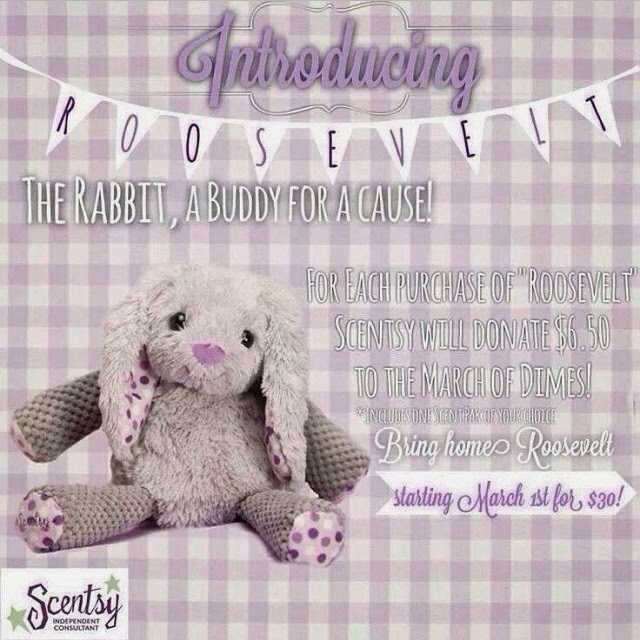 This new Buddy, Roosevelt is adorable and proceeds from his purchase go towards the March of Dimes. He is perfect for Easter gifts this year! 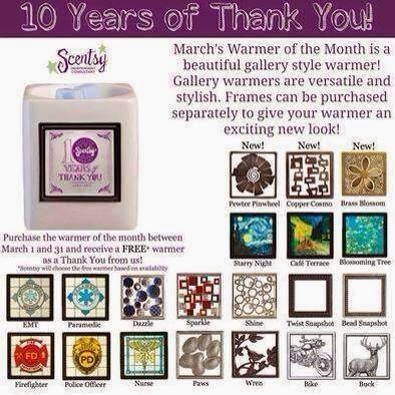 The Warmer of the month is really neat this month, if you purchase the warmer below you receive another warmer FOR FREE. That means you get two warmer for the price of this one - and the one is already 10% off! It's a really good deal. 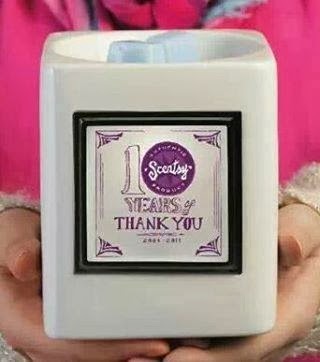 The warmer has a magnetic frame that comes off and can be replaced with any other $7 magnetic frame that Scentsy offers. So many choices! 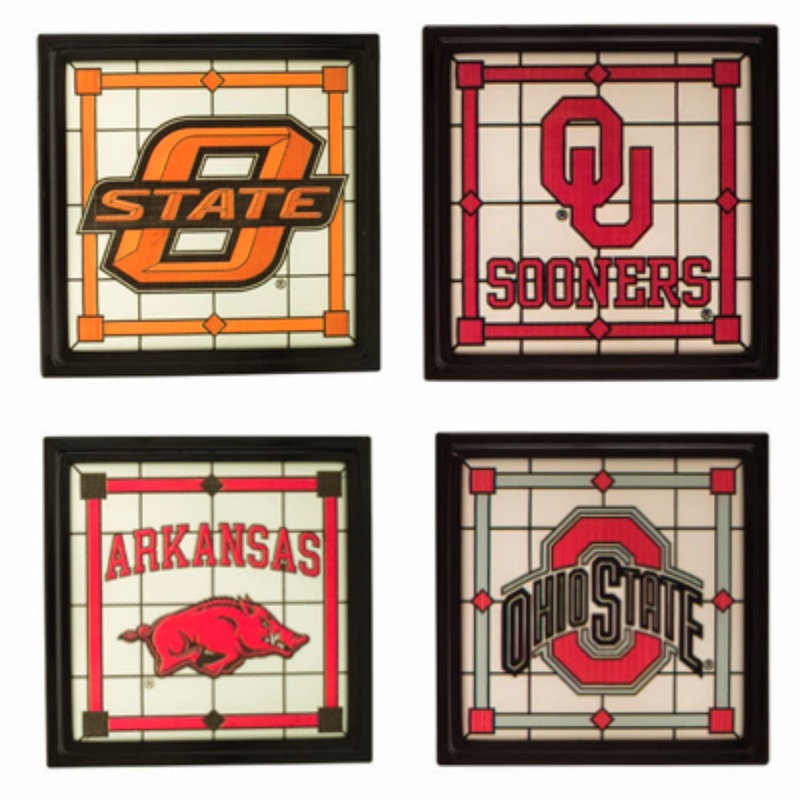 Even frames to support your favorite college team! Ok last thing! 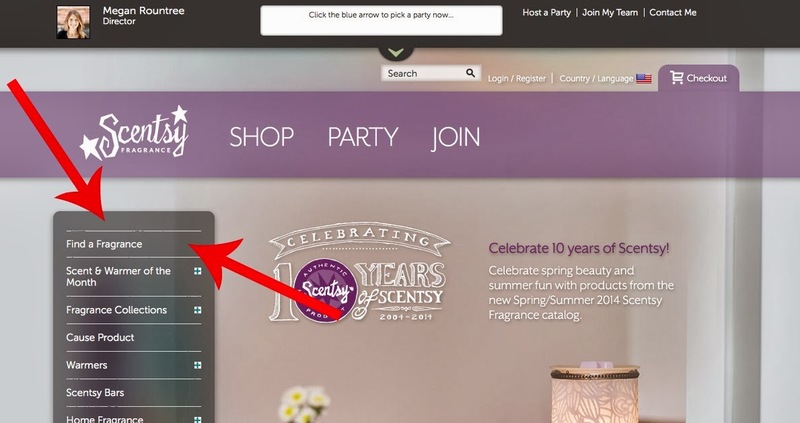 I always have a lot of people email me and ask for advice on what scents they should purchase, which I LOVE helping people find their perfect scent, however this new feature on my website might be more helpful than me just shooting off my favorite scents through email. It walks you through a couple of questions to help you find a scent that might fit you. Check it out! As always if you have any questions about anything send me an email! And be sure and check out my website for all the new products. There are a ton of beautiful new warmers!